Mad cows or mad people? 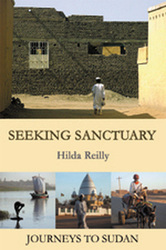 Hilda Reilly is originally from Perth in Scotland and recently returned to live there, after spending most of her adult life abroad. Her occupations have ranged from the stupefyingly dull to the wondrously surreal; when asked that common question: What do you do? she has generally found that the most accurate reply is: I live on my wits. After graduating from Edinburgh University she started training to become an actuary. Three months later she decided that not even the prospect of belonging to what was then the highest paid profession in the country could induce her to carry on in a career to which she was so unsuited. Subsequent jobs have included oil industry analyst in London, artists’ model in Paris, technical translator in Baghdad, charity worker in Zanzibar, English teacher in Malaysia, journalist in Ho Chi Minh City and director of an educational organization in Khartoum. 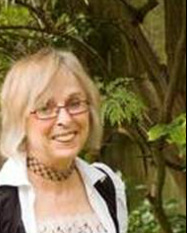 In recent years she has returned to academic study, obtaining an MSc in Consciousness Studies, for which she specialised in the neuroscience of religious experience, and an MA in Creative Writing, focusing on the use of narrative to explore the medical concept of hysteria.She is currently researching the case of Anna von Lieben, one of Freud's most significant patients, for a PhD. Her first novel, Guises of Desire, deals with the life of Bertha Pappenheim, aka Anna O, the ‘founding patient’ of psychoanalysis. 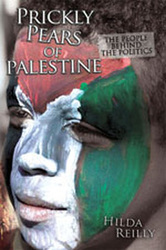 She is also the author of two travel books – Prickly Pears of Palestine: The People Behind the Politics and Seeking Sanctuary: Journeys to Sudan.